This whole chatbot sensation was stale before it even took off, but now that so many are being rolled out by small-time startups and tech colossi alike, it's downright rancid. Nobody seems to have figured out a worthy purpose for one yet, instead hoping that we'll be impressed by any network automaton which is capable of reading and accurately responding to all the nonsense we hurl at it. We've been doing that since MSN was a thing, guys, come on now. 911bot is a different story, as some bright sparks at the TechCrunch Disrupt Hackathon in New York demonstrated. 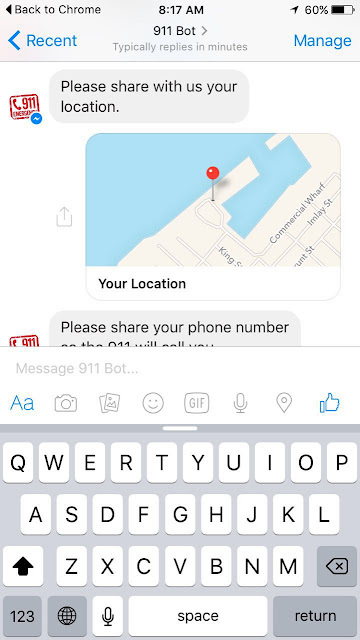 As the name suggests, it's a chatbot purpose built to help you report an emergency situation, however severe. What's the benefit of this over actually calling the number and speaking to a living, breathing, empathetic human being, though? Well, a phone line operator is limited in how long they can stay on the line with you, there will be other calls waiting, and they can only give you information and advice based on what you relay to them verbally. 911bot takes it further than that. 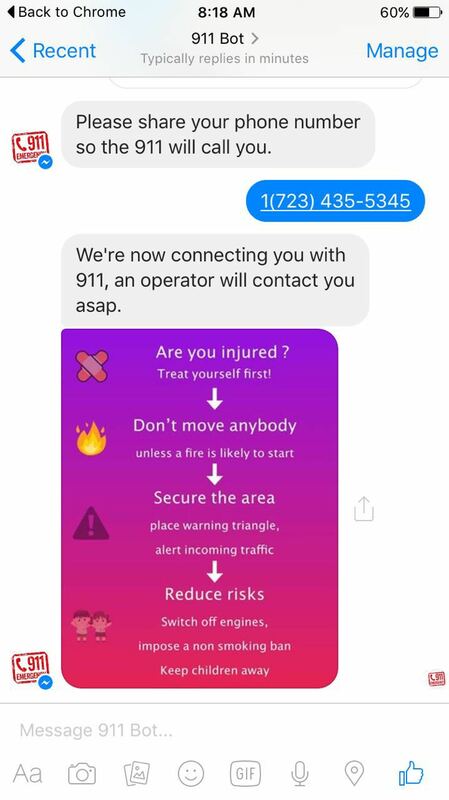 The Facebook-based chatbot uses an image interface to help you report an incident, and advises you on how best to handle the situation as you progress through the report. It also gives you the option to send information to media sources, if you deem it necessary to do so. Depending on the nature of the request, 911bot might automatically contact the proper authorities, but if it's less clear cut, it might first simply advise you on what best to do first. This system of discerning the severity of an emergency, and offering advice before contacting the services could well cut down on needless police, ambulance and fire department intervention. It could also reduce the number of incidents made worse by people taking it upon themselves to intervene without the proper knowledge, like say if someone attempts to move an injured person after a car accident. 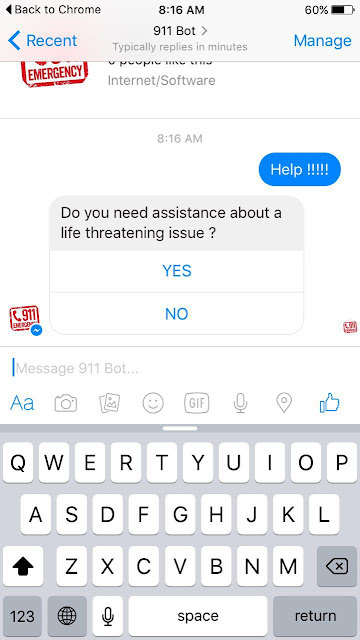 Equally, 911bot sends information about things you can do, such as performing CPR. 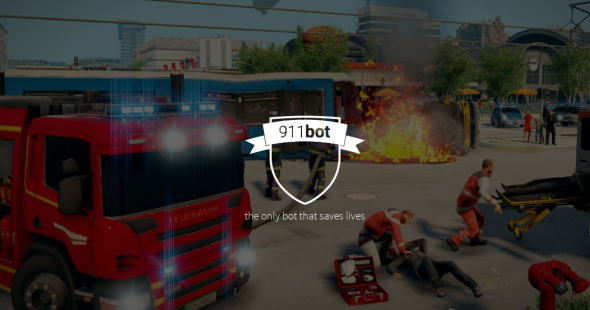 You can find more information about 911bot here.